At Barton McGill, all our tables are restored to the very highest standards using traditional methods and the finest materials available in the world today. In addition, we offer a comprehensive restoration service to existing owners of tables and provide long-term servicing contracts. Our restoration service includes removals, assembly, re-clothing, repairs, polishing, re-rubbering and short term & long term storage of all size tables. 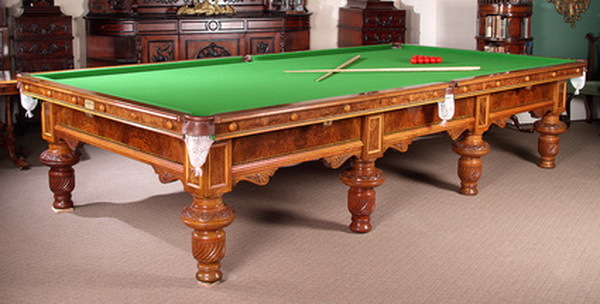 Barton McGill Billiards also offers a complete furniture restoration service for both antique and modern furniture. 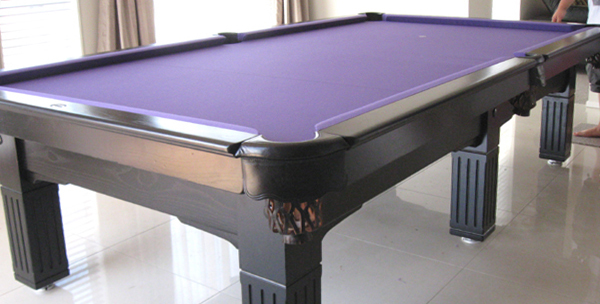 This service includes collection/delivery, repairs, re-polishing, guilding and upholstery. 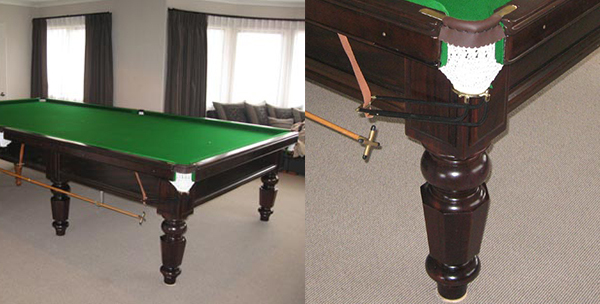 Below is an example of a 110-year-old Full-size Billiards Table that was brought into our workshop in a very run down condition. 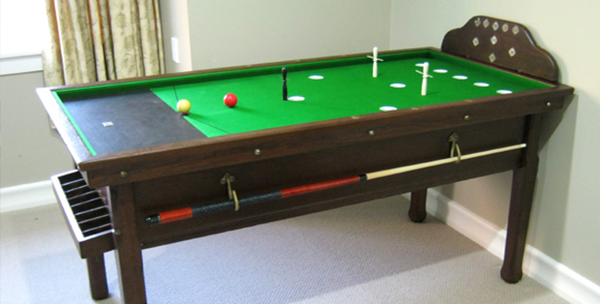 The table had been housed in an equally run down Public Billiard room, where it had stood unused for over 60 years. We were commissioned to restore the table back to its original condition.